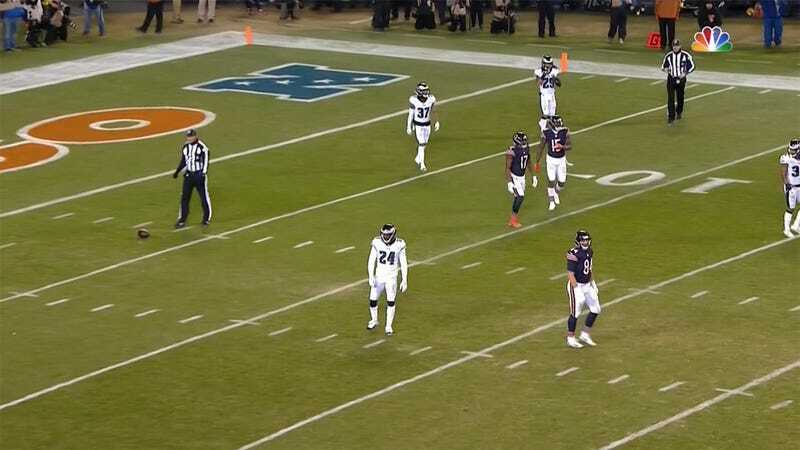 The Eagles-Bears game got weird right before halftime when Eagles cornerback Cre’Von Leblanc wrested the ball from Bears receiver Anthony Miller in an impressive display of strength. The play was initially ruled an incompletion, but the inhuman standard of slow motion showed that Miller caught the ball and then fumbled. 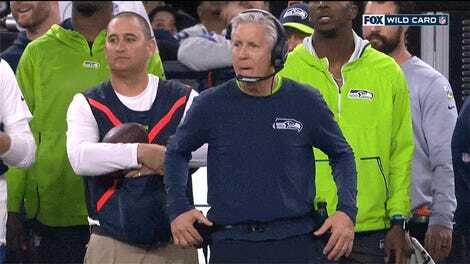 Only one problem: neither team recovered what was now retconned as a fumble. The Eagles’ defense thought officials had ruled it a catch, and began walking towards their own goal line. What came next was an extreme test of the definition of a catch: The officials declared that the original ruling of an incomplete pass would stand, not because Miller didn’t make a catch, but because neither team recovered the ball after he caught and fumbled it. Left unsaid there is how exactly players are supposed to go for a recovery once the play is blown dead. Philip Rivers To Injured Matthew Judon: "That&apos;s What You Get!"